Top politicians go to Oxford. As a teenager, I wanted to be a politician. I did the exams and, after a fashion, I got a place at Brasenose College. In my first weeks I joined the Oxford Union. 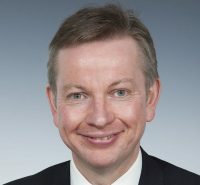 Michael Gove ran the induction. Huddled on the floor in the Gladstone Room, the young freshers were invited to come up and speak. Nobody moved. Eventually he coaxed a few. I thought of something to say, but I was in awe of the surroundings. Far too petrified to stand up in front of my peers. I spent hours listening to Union debates. I saw Michael Heseltine, Paddy Ashdown, Enoch Powell and many others in action. Offered once the chance to do a humorous speech, I didn’t prepare and I was booed off. I left the university in 1991, if anything, more nervous of public speaking. But I still wanted to be involved in politics. And public speaking, I thought, was an important skill to learn. My mother had joined a speaking club. It met in Springhill Prison near Aylesbury – it was part of the prisoners’ rehabilitation. I went with her. I was intrigued. The club was run by an Oxford graduate (he’d been imprisoned for fraud). The Gavel club was part of an organisation called Toastmasters International, a worldwide organisation dedicated to teaching people the art of public speaking. When I moved to London in 1994 I joined the Grosvenor Square club, which met in Marble Arch. What an odd club it was. Very multicultural, with people from very varied social backgrounds, exuding a feel-good self-help atmosphere. Lots of clapping and handshakes. It was the antithesis of the Oxford Union. The club did have some distinguished members: Lady Fiona Montagu, the wife of Lord Montagu of Beaulieu, a former MP, Hugo Summerson and a motivational speaker called Phillip Khan-Panni, who went on to write a business presentation guide for the Financial Times. I was in awe of their speaking abilities. The first time I stood up I was paralysed with nerves. I had to sit down mid-sentence. Two hours later, I was still blushing with embarrassment as I went into the Tube station. But I was determined to stick at it. Toastmasters has evolved into a complex series of rituals since its foundation in California in 1924. The meetings divide up into two halves. During the first half, we have a ‘table topics’ session. Members of the audience are invited to come to the podium to do an impromptu speech based on a question from the ‘table topics master’. At first the idea of standing up in front of 30 people to speak off the cuff was terrifying, but after a dozen or so meetings, the mind develops strategies to deal with it. The second half of the meeting is taken up with prepared speeches. You get a seven minute slot to deliver a speech from a manual. You can write and rehearse these ones before the meeting. What’s so appealing about Toastmasters is that all the speeches get evaluated. A more experienced member of the club will stand up and analyse your performance. It’s not done in any academic way. It’s about drawing out the positives and offering guidance for improvement. Despite its occasionally ‘culty’ feel, Toastmasters drives home some very important truths. Every speech is timed and a series of lights indicate to the speaker when their time is up. Going over time is a serious sin. During the prepared speaking part of the evening, the speakers are introduced properly. I’ve attended many conferences where this aspect is neglected. The organisation has helped some influential people. Many years ago I advised the Rt Hon Elizabeth Truss MP to go along. She’s not a brilliant public performer, but she did the basic qualification at a London club and she went on to become a Cabinet minister. During the hundreds of hours, spread over 20 years, I’ve spent at Toastmasters meetings, I’ve listened to people reveal themselves. The first speech, the ‘ice breaker’ provides an opportunity to find out who the new member is. There is something fascinating about listening to people talk about their lives. Some speeches have changed my attitudes. Around 1997, I attended a special ‘controversial’ evening. I heard a Catholic give a speech about the British behaviour in Northern Ireland. It made me see the Troubles from a different perspective. A dentist gave a talk about how if you’ve not touched one of your possessions for six months, it’s time to hand it over to someone else. I’ve tried to apply that in my life. Toastmasters is prosaic. It meets in downbeat hotels, upstairs rooms in pubs and function rooms in clubs. The people who join aren’t necessarily outstanding. They’re trying to overcome a deep fear. But the clubs, which exist all over the UK, enable people to develop talents outside the conventional workplace. I took part in humorous speech contests and international speech contests, I’ve been President of two clubs and managed websites and marketing materials. The organisation helped me realise I was not suited to politics. Instead I became a speechwriter. Involvement in Toastmasters has given me a realistic idea of my talents. It has given me the insights to start a business running international conferences. It has given me the chance to learn skills which have enabled me to become self-employed. Your education is not complete unless you’ve witnessed a Toastmasters meeting.